MFA, PhD, poet and author of Extinct Mammal: Poems, and translator of Exiled from the Throne of Night: Selected Translations of Luis Cernuda. 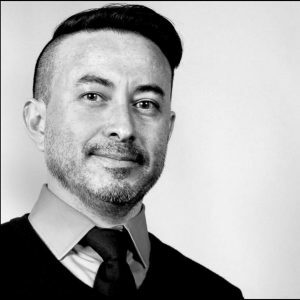 Mr. Quesada is the founding editor of Codex Journal, and the co-founder of Stories & Queer. He currently serves as the Essays Editor for The Rumpus and Senior Editor of Queen Mob’s Teahouse. Mr. Quesada is also a Contributing Editor for the Chicago Review of Books and a blogger at Ploughshares. His works appear in American Poetry Review, Best American Poetry, TriQuarterly, and Stand Magazine among others. My PhD studies in literature focused on the influence of cultural and sociological experiences on aesthetics and creative composition. My knowledge of philosophy and composition ranges from ancient civilization through 21st century literature, while my editorial and academic training focused on literary nonfiction, Spanish language translation, and poetry writing. I have taught literature, business writing, creative writing, cultural studies, digital storytelling and pedagogy courses at the college level for a decade to graduate and undergraduate students. I aim to create a learning environment that is structured, yet allows for flexibility to adapt to the learning styles and needs of a class. For example, in my reading classes, I introduced digital storytelling and other elements such as video and visual art to help students understand that they are “reading texts” all the time when they watch movies or look at paintings. The incorporation of visual elements enable students with learning disabilities or who approach learning in a more visual way to feel they could also keep pace with the class. I’m a firm believer that learning must go beyond the classroom in other ways by engaging with community.